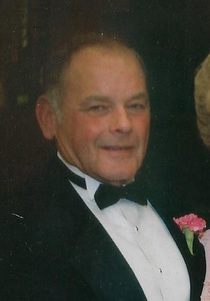 Dale Herrold, an 86 year old Trenton resident, passed away peacefully at 7:27 a.m., Friday, January 25, 2019 at Sunnyview Nursing Home in Trenton. Funeral services are scheduled for 2:00 p.m., Saturday, February 2, 2019 at Resthaven Mortuary of Trenton. Burial will follow in Resthaven Memorial Gardens of Trenton. A visitation will be from 6:00 until 7:00 p.m., Friday. Dale Carl Herrold was born January 28, 1932 at home on the family farm near Seward, NE to Alvin Sr. and Irma (Westerhoff) Herrold. He graduated from Seward High School with the class of 1949. His high school nickname was “Curly”! From Feb. 2, 1951 until May 18, 1955 he served in the United States Navy as a Seabee, the US Naval Constuction Battalion. Dale served in Kenya, Africa building barracks for the troops during the Korean War. Dale was a member of the Trenton Elks Lodge. On January 27, 1952 he was united in marriage with his lifelong love, Carol Nadeen Rocker. They lived in Nebraska until the spring of 1972, when they moved to Missouri. They bought and sold several farms in and around the counties neighboring Trenton. In 1994 Dale retired from farming, moved to Trenton, and began enjoying his favorite hobby of driving a truck full-time. At one time he operated a fleet of 13 trucks, delivering freight nationwide. Trucking was his passion! In 1998 he fully retired. He and Carol enjoyed many years traveling and exploring the country with friends in their RV. Dale also was a big fan of Gunsmoke and Marshall Dillon during his years in the rest home. Surviving relatives include his wife Carol of the home, sons Mike Herrold and wife Joyce of Trenton, Dan Herrold and wife Debbie Gale of Coffey, MO, and Doug Herrold and wife Debbie JoAnn of Nixa, MO, daughters Stephanie and Mick (deceased) Jarusek of Columbus, NE and Valerie and husband Todd Scott of Dallas, TX. Other surviving family include 13 grandchildren and 13 great-grandchildren. Those preceding him in death include his parents, sisters Margaret Herrold Scamehorn, Lorene Herrold Coufal, and Alvina Herrold Beckman, and brothers Thomas Herrold and Alvin Herrold Jr.
Dale and Carol would have been celebrating their 67th wedding anniversary on January 27th and Dale’s 87th birthday on January 28th. Memorial donations may be made to Parkinson’s Disease Research and the Ronald McDonald House. Donations may be left with or mailed to the funeral home.